Beaducation: The Blog: Three New Classes Added! We've just added three new classes to our class listings. Are you becoming addicted to chainmail? 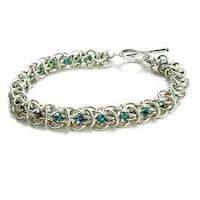 Colin Mahler's latest chainmail class, Crystal Elf Weave Bracelet, will show you how to add a little "bling" to this intermediate chain. 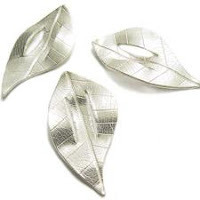 Emily B. Miller's PMC Leaf Buckle Spacer Necklacewill show you how to make another one of her beautifully detailed precious metal clay pieces. 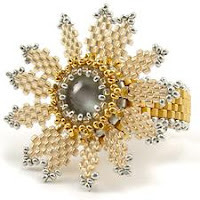 Last, but not least, Laura McCabe's Dahlia Ring is just what you seed beaders have been waiting for. This faboulous ring will be sure to start conversations the next time you wear it. Wait until they hear that YOU made it!